A new crop of farmers in need of a flock - Help us raise $7,000 so we can buy sheep for a community farm cooperative developing in Kelowna. Wow! This project is overfunded 108%. This project has ended and can no longer receive funding. Monetary amounts are shown in Canadian Dollars. Thank you for your support for our project. We will update you on our progress through a newsletter and send you digital stickers for you to share online with your friends and family. In addition to attending the spring frolic, you get the opportunity to name one of our lambs. We will send you a postcard of your lamb. Interested in the project but would like to taste your contribution? This option is for you. You will be able to have a box of choice cuts from lamb raised on the farm. This will be delivered in the fall of 2018 as our lambs reach market weight. We will deliver to Kelowna and up to half an hour drive away. Subscribe for a season of vegetable baskets. 22 weeks of vegetables grown on Ceres Circle Farm. A box will contain an assortment of 9-12 vegetables grown on the farm, to be picked up on site or at a drop off location in Kelowma. The weekly basket provides enough vegetables for the weekly needs of a family of 3-4, or a couple that eat a lot of vegetables. Basket program will run from mid june until Christmas. Really keen on seeing this project succeed? We happen to be avid cooks and Kevin is a Cordon Bleu Chef. For this generous donation, we will host you and up to 11 of your friends for a private dinner out on the pasture. Date: TBD though later in the season would permit us to serve you more produce from the farm. Hello! 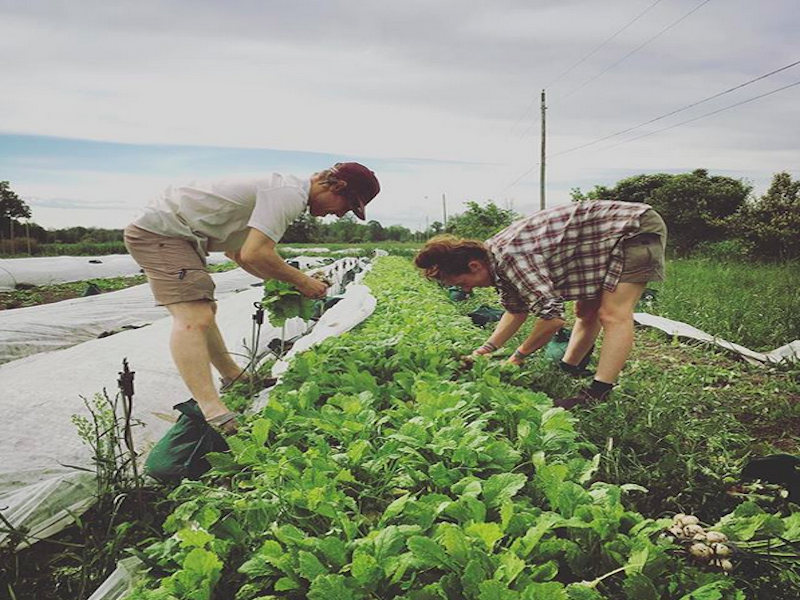 We, Cecilia and Kevin, are start-up farmers at Ceres Circle Farm, an operation that has recently been gifted by its founder and currently under transition to a land trust by the BC Foodlands Cooperative. The farm will be operated as a cooperative owned by the community of Kelowna, serving as a flagship enterprise displaying the potential and importance of local foodsheds. We are excited to be key players in this transition process! As the first farmers to manage the farm operations after its donation, we intend to pursue the life's work of the past operator and raise lamb naturally on pasture, using a rotational system to maintain the health of the ecosystem. Since making contact with the organization FarmFolk CityFolk that is involved in the BC Foodlands Cooperative, momentum has been building steadily for the project. In the new year, we will be moving to the farmhouse on site and bringing in a flock to maintain the pastures and make use of the facilities there. We have a lot of work to do before the sheep arrive, including preparing proper housing facilities for the sheep, securing winter feed, and maintenance repairs on the farmhouse. 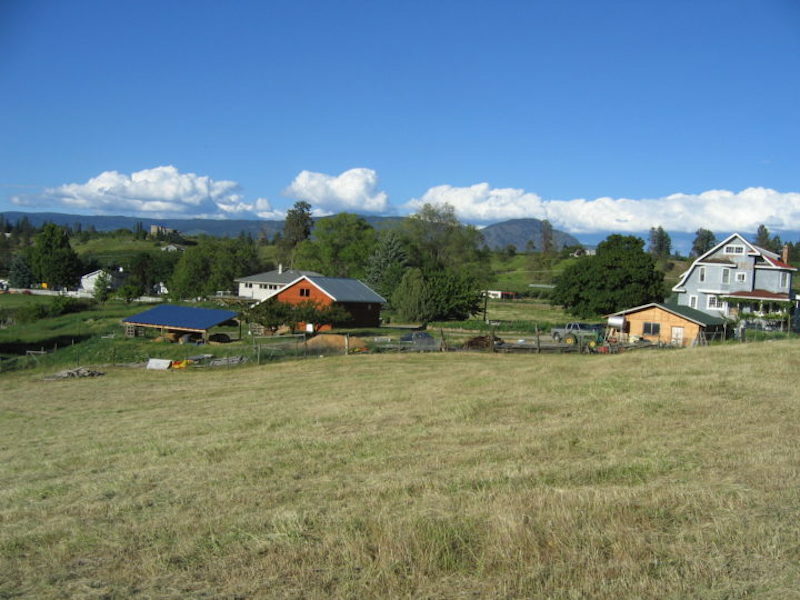 If you are curious about a community cooperative farm coming to Kelowna - Read on! Ceres Circle Farm is a 37-acre sheep farm in Kelowna that is beautiful and meticulously maintained. There are gently rolling hills that are fenced into paddocks on both sides, as well as a natural uncultivated area full of edible and medicinal plants. The founder of the farm, Sue Haley, worked diligently and with perseverance to meet all the requirements for a provincially licensed abattoir to be established on-site. This is no small achievement and a real asset to the community as there are many barriers to prevent small-scale farmers from having provincially approved slaughterhouses. Animals must usually be transported to centralized plants for market retail, sometimes over 100 kilometers away. After retirement, Sue Haley chose not to sell her land but to donate it so that her work could live on. She got in touch with the BC Foodlands Cooperative, which is transferring her farm to a land trust. Farmland in British Columbia is becoming increasingly inaccessible to new and existing farmers as a result of rising land prices, urbanization, and non-agricultural uses. A trust would ensure that the land of Ceres Circle Farm is preserved in small-scale, diverse agricultural production, enabling access to land for new farmers like us while supplying Kelowna with local and ecological food. Beyond remaining in agricultural production, the enterprise is to become a community cooperative farm. The land trust will ultimately be held by members of the Kelowna community and will be directed by a board including key residents in the area. There is endless potential in terms of how this will evolve over the years – it is up to the community! However, we envision that the farm will host workshops and bring in speakers to promote education around issues surrounding the food and agricultural sectors. We would like to have other farmers develop their own distinct enterprises on the land, just as we are able to with sheep. This project is a great initiative to promote food literacy in Kelowna. Sheep have not been on the farm since the spring of 2017, and while the bureaucracies of converting the land to a trust and erecting a community board to guide it are moving along, we, the farmers on site, must move forward as well ensuring the necessities are in place to have the farm in production for next year. We are therefore reaching to ask those who are passionate about sustainable farming practices to foster this burgeoning opportunity for young farmers in Kelowna. We are seeking your help to fund our first flock of 21 sheep, which we estimate will cost $6,500. If we receive additional funding, we will use it to prepare proper housing facilities for the sheep, secure winter feed, and do some maintenance and repairs on the farmhouse, where we will live. With every donation to get the farm into production you will be helping give Kelowna the opportunity to invest in their local economy, support environmental practices, and feed their families nutritious food. Choose your reward shown on the right as you help fund our first flock to be housed at a new community cooperative farm in Kelowna. It's super easy! Click the 'Back this project now' button to view all available rewards then select a reward and you will be taken through to a payment page where we will ask you for your credit card details. If you cannot financially back this project you can still show your support by liking or sharing this project using the links below. Half way there! Thanks to everyone for their support...and to Global news for their coverage! Use this form if you would like to ask the project owner a question directly. This crowdfunding project involves providing a loan or making an equity investment in the proponent organization. The wayblaze funding portal is not registered under Canadian securities legislation but is relying on the start-up crowdfunding registration and prospectus exemption available under BC instrument 45-535. Wayblaze does not provide any advice or make any claims about the suitability or financial merits of this project, nor any other investment presented on our platform. Only adult residents of British Columbia, can make an investment in this project and only upto a maximum of $1500.